Heading northward from Highway 22 on the access road to the Jackson Hole Mountain Resort (Moose-Wilson Road), the Jackson Hole Racquet Club (a.k.a. 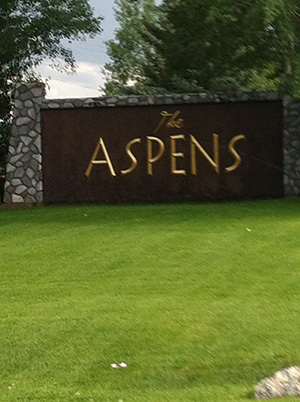 “The Aspens”) is located at approximately the 2.5 mile mark on the west side of the road. 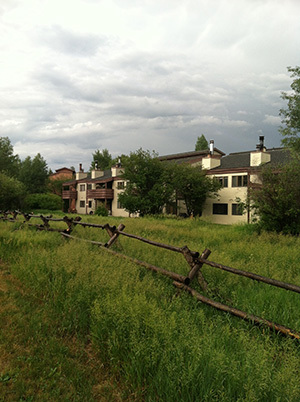 The Aspens was originally developed in the early 1970’s as one of the first developments outside of the ski area itself to capitalize on Teton County’s emerging resort status. 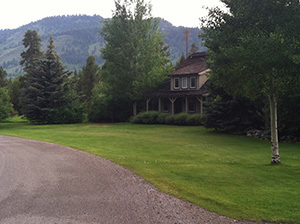 The development is comprised of detached single-family homes as well as townhomes and condominiums that range from being the least expensive condominiums in relative proximity to the ski area (opportunities less than $400,000 have existed in recent history) to single-family homes in excess of $2,000,000. 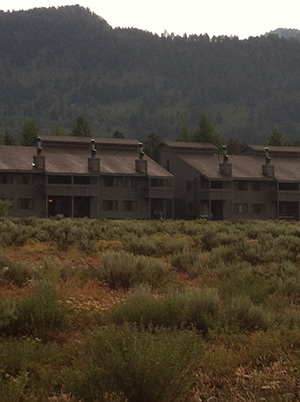 Tennis courts still exist on the property, but the focus of racquet sport recreation has largely shifted to the adjacent Teton Pines development. 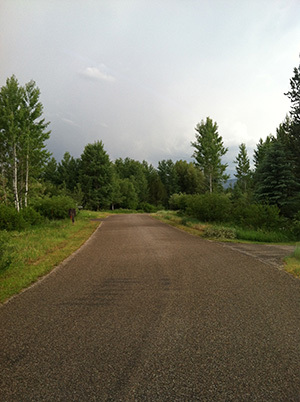 The Aspen’s proximity to both the Jackson Hole Mountain Resort (4 miles to the north) and downtown Jackson (10 minute drive) make this location ideal for the convenience-minded recreationalist. The Aspens is also benefited by a small commercial area offering dining, dry cleaning, grocery shopping and a friendly barista at the local coffee shop. The inclusion of this area as a resort district allow short-term rentals for those wishing to generate income while not using their residence.